Mobile financial services (MFS) consists of a wide range of offerings, from current and savings accounts and other mobile banking services to dynamic pricing and omni-channel commerce, to the most well-known use case of P2P remittances. While it is the latter function of MFS that has garnered the most attention in developing markets (largely due to the spectacular growth of mobile money in Kenya initially and latterly in other African markets), there is a growing realization that domestic remittance volumes, while impressive, are a shallow measurement of financial inclusion and the growth potential of mobile financial services. In fact, as the World Bank-housed thinktank CGAP’s digital finance initiative recently noted, the often touted figure of 43% of Kenya’s GDP moving through Safaricom’s M-PESA amounts to, at the very least, double counting, and a more realistic assessment of its place in the country’s financial system puts its transaction flows on a par with one of the country’s larger commercial banks, such as its MVNO-launching rival Equity Bank. Furthermore, the topline figures often mask the reality that the most common form of transaction, other than cash-in or cash-out (CICO), is an airtime top-up. By way of example, a recent IFC study noted that in 2013, by value 90% of Cote d’Ivoire’s MFS transactions were CICO, and while 24% of total transaction volume was airtime top-ups, this only accounted for 1% of value, in comparison to 2% and 4% for P2B by value and volume respectively. As Mondato Insight and others have previously highlighted, the signs of growth in other areas such as merchant payments (P2B or B2B), while slow, have been encouraging, but remain partly trapped in the chicken-and-egg conundrum. The perception that cash is somehow costless remains widespread (something touched upon by several participants at last week’s Mondato Summit Asia) and enthusiasm for new technological innovations in the MFS space often clouds recollection of the fact that, irrespective of its actual cost, cash is familiar, easy-to-use and universally accepted. In other words, despite its shortcomings cash still works relatively well for most people in most circumstances. However, despite the significant challenges to widespread consumer adoption of MFS that remain in Africa and elsewhere, the outlook for growth is encouraging, particularly when attention shifts from the remittance trees to the wider MFS wood. Innovative players are entering the market with a variety of alternative use cases that look set to widen the value that mobile money and mobile financial services bring to all parts of the value chain in almost all market segments. For example, Mondato estimates that the market for person-to-business (P2B) mobile-initiated transactions across Kenya, Tanzania, South Africa, Nigeria and Ghana is likely to grow nearly tenfold over the next four years, from US$2.9 billion in 2013 to almost US$28 billion in 2018. Currently, Kenya leads the way in the P2B market across the five abovementioned nations, with MFS transactions worth US$900 million in 2013, and Mondato estimates that by 2018 this figure will have grown to almost $2 billion. Remarkably, this would actually represent Kenya sliding into third place among these five economies for mobile P2B transactions, behind South Africa’s US$7.8 billion, while African economic powerhouse Nigeria is anticipated to conduct US$12.9 billion worth of mobile-initiated P2B transactions in 2018. Despite this relative fall, Kenya’s position as an MFS trailblazer should see domestic P2B transactions outstrip other non-cash forms of payment by around 50% by 2018, which would be an unprecedented achievement in itself and demonstrates the deepening roots of the MFS ecosystem there. It is even possible that recent changes to the regulatory environment in Kenya and the end of agent exclusivity may drive growth higher than the current assumptions that were the basis of Mondato’s model. Furthermore, it is worth noting that the mobile share of its P2B market, at 5.7%, will be significantly higher than that of either Nigeria or South Africa, Sub-Saharan Africa’s volume leaders in mobile P2B transactions by 2018. Nonetheless, on current projections other Mondato research and analysis also points to Kenya being surpassed by competitor economies across multiple transaction categories within just a few years. By way of contrast, Nigeria’s MFS P2B market, which is currently the smallest of these five countries, is predicted to account for US$13 billion over the same time period. 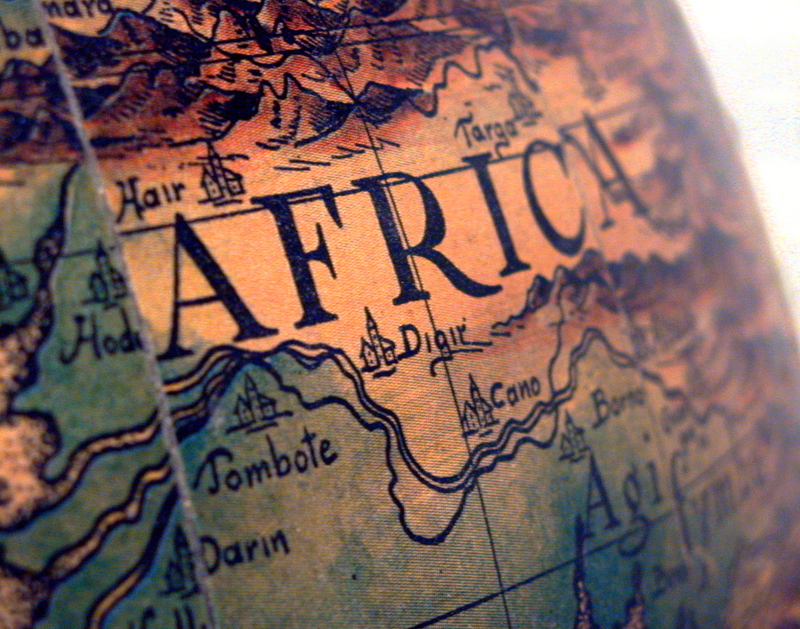 Simply put, the sheer size of Nigeria’s economy means that even relatively modest growth in non-cash payments, driven by the growth in P2B payments, will ensure that in total value terms the Nigerian market will rapidly come to be the largest in Africa, leaving East Africa’s early adopters in the shade. It goes without saying that P2P MFS remittances will remain an important driver of consumer adoption in many markets. But in terms of both creating value in the economy and furthering the financial inclusion agenda, it is becoming clearer that Africa is moving out of phase one of the MFS and digital finance revolution, as demonstrated by CGAP’s widened emphasis from digital finance to what they have called ‘Digital Finance Plus’. On current economic forecasts total P2B transactions across Kenya, Nigeria, South Africa, Ghana and Tanzania are likely to grow by over 40% up to 2018, from US$640 billion in 2013 to over US$900 billion. While this figure is certainly impressive, the MFS share is likely to grow at over 20 times that pace, but will still only account for 3% of the total P2B market, emphasizing the enormous potential of this portion of the MFS market. This further illustrates that in order to fully understand the size and scale of both the opportunity and challenges facing MFS in Africa and elsewhere, it is time to start digging deeper into the numbers than just P2P remittances and transaction flows as a percentage of GDP. Is Interoperability Inevitable in Mobile Money?